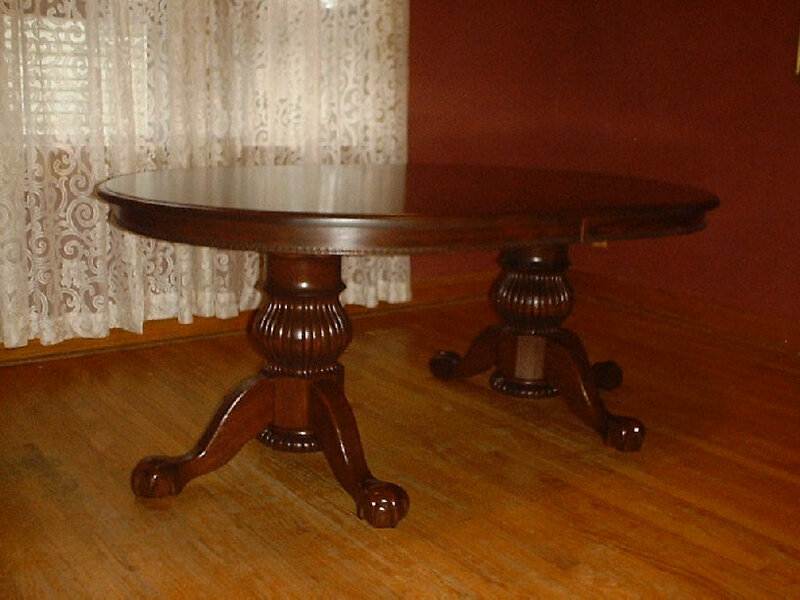 "OLD WORLD" TABLE Quarter sawn oak or Pennsylvania cherry48" x 72" with leaves opens to 10ft filagree on apron, our own designed "antique " style fluted pedestal. Claw and ball foot. Custom stain colors.